FRINGE SCIENCE > Evidence for scientifically advanced Ancient civilizations? a clay figurine discovered in Idaho that is atleast two million years old. The list of suppressed and conveniently forgotten discoveries goes on and on,"
I think we have barely scratched the surface of history on this planet; try constantly fit it into parameters than we can comprehend. Perhaps part of that is that humans are reluctant to consider others who just might be more advanced...ha, even more "humane" to each other. All of life is a wonder, constantly filled with surprise, with delight, and sadly too with the pain we knowingly inflict on each other. We must be more open to possibilities of much deeper history than we acknowledge, and by the way, I am an historian. Perhaps if we dig deep for ancient civilizations other than those of which we are aware, we just might learn some things, some ways of life, that we seriously need to learn to evolve as better beings and less destructive beings. How to achieve the open-minded approach to history when academia is so rigid, Remy? Alas, that is a problem. There is the old adage that the victors write history and that is true, but it is not just that. National politics influence history. Only now are we beginning to write the truth of war, of colonialism, of genocide, etc. We have much truth to face about ourselves. Native Americans are writing their side of the idea of Manifest Destiny, which sure doesn't match that of Andrew Jackson! Women are writing our history, again a different perspective from that of the men folk. History text books are notoriously boring, with huge omissions of different groups, of different cultures coming into conflicts. To overcome this, well, letting go of fear of truth; thinking outside of the box of our own mores to be open to those of others. Being open to the idea of a creation so vast we cannot even begin to grasp, let alone categorize with our limited perspective. We will have to overcome racism between humans to even begin to consider inter-galactic communications, and the possibility that 'aliens' in some way have influenced our evolution. Yet, James, underneath, deep inside, I think as a species were are curious about that possibility. Look at the long time popularity of Erich von Däniken's books. Deep inside I feel we think there is so much more to know about just about everything. Dan Brown hit that mark with his DaVinci Code. We are people of the story...everything has a story, and we yearn to hear them; yearn to have them make our lives, our sojourns here on earth, have some point, some meaning. Perhaps we need to beyond political isms, religious dogmas--all the things that separate us to come together, digging deeply for all our commonalities, and the vast extent, from here, from "out there" concerning our evolution; our heights and abysses. To me, it makes no sense that with all our frailties, cruelties, compassion, etc. that we are the highest form of life in the universe. Again, to go there mentally, we have to let go of fear that so rules us; maybe this is another case where the truth will set us free in more ways than we can imagine! Check out B E Dennis' Crystal Skull Trilogy...a very interesting read. An a kind of related thought for those who are interested in past life regression: what might those uncover? If we are going to go exploring for truths we might consider every possible path to them. It would be interesting to see which of the "powers" individually and collectively, would object strenuously to such expeditions. Remy wrote: "Alas, that is a problem. There is the old adage that the victors write history and that is true, but it is not just that. National politics influence history. Only now are we beginning to write the..."
You ask all the big, complex questions Remy. Unfortunately, not that many historians seem to be doing that. It's so hard for us all to conceive of different histories when we have been taught from such a young age that everything in history books is factual and proven. Will check out the Crystal Grotto: A Crystal Skull Trilogy in the Crystal Skull Trilogy. I think the best evidence for a scientifically advanced civilization is in Egypt. The precision machining of granite for sarcophagi, statues, etc. is perhaps better than we can do right now. Some people argue that we don't have the technology to build the Giza pyramids or that it would at least take billions of dollars to achieve. I think there are some simpler explanations for many out-of-place artifacts, especially those found in rock that is apparently very old. The Electric Universe people suggests that a high energy electrical discharge could melt rock and allow objects to become embedded within. There's a case I read about recently where a spark plug was found embedded in a very old rock. The spark plug is known to have been produced in the 1920s. Unless you want to invoke time travel, I think the electrical discharge angle is a simpler explanation. Jim wrote: "Some people argue that we don't have the technology to build the Giza pyramids or that it would at least take billions of dollars to achieve. I do wonder whether modern technology could create moments as precise as the pyramids in Egypt. If it can't then it seems obvious there were some very advanced ancient civilizations that've been forgotten or buried by academia. Krishna wrote: "In several hindu scripts some surprising thing are found. the origin of universe as described in Rig veda is very much similar to the big bang theory! in epics like mahabharat we can find accounts ..."
Are those accounts all in the Baghavit Gita? Or are these in other books. What about the ancient Vimaya flying machines or vessels mentioned in Hindu texts? Do you believe Vimayas were a form of ancient UFOs or flying saucers? Krishna wrote: "In Purana we can see that many vedic saints used to travel in flying machines. The question is why the ancient people have written about humans flying with gods? Moreover many priests used to worship god in one place at morning and in other place many kms away at evening. How they used to do that? India holds many secrets about ancient civilizations I sense. Perhaps more than any other country, India holds the most ancient knowledge. ica stones or inca stones? And a discussion is developing in the comments section beneath that poll. Check it out if this subject interests you. Krishna wrote: "A few days ago I searched in net about stones and saw ica stones with pics of Hunan performing a surgery and looking at sky with telescopes." Do you have a link for that Krishna? I hope it is OK that I get into this conversation. I want to understand your point about engineering and science. In your 'perception changing world', what would be the solution to someone wanting to visit their mother 800 miles away. It is up to you to pick the year and situation. OR, if that request doesn't make sense, please recreate the Wright brother scenario. The group's recent poll which asked if members "believe the world in 2015 is the most scientifically evolved civilization in the history of the Earth?" is now complete. Krishna wrote: "In 1974, a group of workers in Romania found an aluminium wedge along with 2 prehistoric bones of elephants dating 2.5mya. This was strange as aluminum was difficult to create even in 19th century. There are soooooo many strange finds like that which don't fit (academic) theories of history. Krishna wrote: "I guess we should think about writing history again." But the problem as I see it is academia gets soooooo hellbent on things only being one way...And once you have universities around the world teaching one thing, then you are dealing with peoples egos as nobody wants to be told that after studying a subject at uni for say 5 or 7 years that they do not know all the truths about history. On the contrary, they want to believe the false assumption that they know everything. Krishna wrote: "Yes, I have studied history for 10yrs in school and have devoted a lot of time to it. If anyone says that all time has been wasted, then I will feel bad. But I guess we will have to accept it." To clarify, I am not implying study at academic institutions is bad. It's a very good thing actually. But I just happen to believe it needs to be complimented with some independent research. There are many fantastic qualified historians who have also gone further than what they were taught and developed their own theories. Krishna wrote: "Yes, got it. By the way, just came to know about an interesting thing. I saw pictures of unicorn in harappan seals of Indus valley civilization. I think it's a thing worth thinking about." You mean the unicorns the Indus drew on ancient tablets? I've seen those ones. Or you mean something else? Krishna wrote: "Yes yes I meant that only . How are all these trends possible in mutually exclusive civilizations?? Either communications systems were stronger in those eras than we think, OR they really were not connected at all as modern academics tell us. If the latter then maybe unicorns and fire-breathing dragons really did once exist! So many mysteries from the ancients. Best starting place, I feel, is to admit to ourselves we know nothing and then start looking at history with fresh eyes. Krishna wrote: "Or maybe in ancient times,science was advanced like now and like many animals are becoming extinct now, unicorns and dragons also extincted because of misuse of science." Agreed, there are theories (which I'm open to) to suggest genetic experimentation on animals were done in ancient times. Who knows? Anything is possible I say. Maybe we humans are a genetic experiment also...We came from monkeys, but was that organic evolution or were ET beings using advanced science to turn us into super monkeys? James wrote: "Krishna wrote: "I guess we should think about writing history again." But the problem as I see it is academia gets soooooo hellbent on things only being one way...And once you have univ..."
I think James makes an extremely important point here. In my opinion there are quite a few people in academia who have different ideas (in many subject areas), but are afraid to pursue them for fear of damaging their careers. 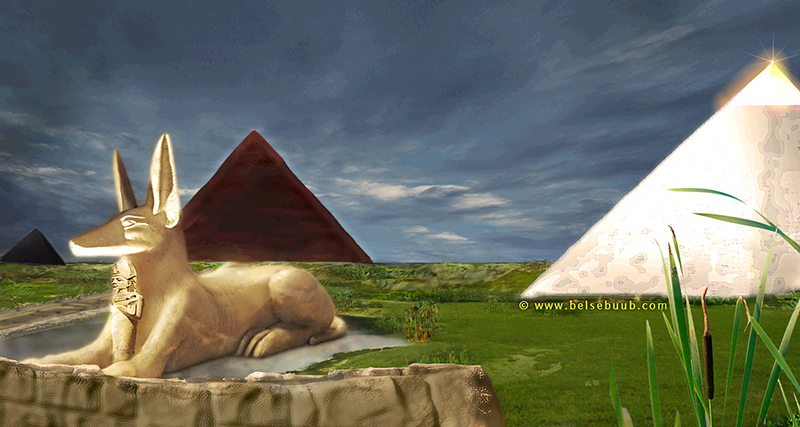 Look at how much resistance Robert Schoch got when he said the Sphinx had to be older because of the water weathering. Geologists who saw the evidence all agreed but Egyptologists had a hissy fit. Now we have Gobekli Tepe which shows that human civilizations were capable of complex projects at least 12,000 years ago. Also Gunung Padong and probably more sites will come to light. Krishna wrote: "Actually it's very weird that old stone age remained for so many years but not much progress was done. But suddenly in new stone age , in much less time a huge progress is done. ..."
I agree that quantum scientific/technology leaps are possibly a bit suspicious. Wow, an interesting dialogue. As a college history major, I agree that there are agendas and mistakes. However, as you begin to move forward in a career in history, you have to be aware of the realities of the job. You can be brilliant, but if you are starving, you end up conforming. I do believe that there are significant gaps in our records that we confuse. However, Like James, I am convinced it is much more academic inertia than it is some grand conspiracy planned. The closer you are to events, the less likely you are to avoid the "spin". Interesting topic, and I would recommend Cremo and the late Phil Coppins as worthwhile reads. David wrote: "Wow, an interesting dialogue. As a college history major, I agree that there are agendas and mistakes. However, as you begin to move forward in a career in history, you have to be aware of the real..."
Thanks David. Will check these out. Glad to help. Another very good author is David Childeress. You see conflicting claims and mainly really bad science. A picture is found from ancient Sumeria,which shows 1 extra planet revolving round the sun. I heard old texts say that it was known as planet Nibiru which was between Mars and Jupiter and it got destroyed after a deadly space war. The asteroids are the remains of that planet only. According to author Zecharia Sitchin the planet Nibiru had many moons, one of which collided with a planet in our solar system as it passed thru and created the hammered belt you speak of but Nibiru was not destroyed. This is home to the Anunnaki. Okay, at this time there are those that are tracking a dwarf brown star with a group of planets, one of which they call Nibiru. This grouping is supposed to be crossing our ecliptic. The material flying away to the sides of this dwarf star are creating an appearance of wings. Similar to the carvings found globally from around the world. James, maybe we should suggest a group read? evidence for ancient lost civilizations? We currently have a group poll running on this subject. The poll asks: Do you believe the Pyramids of Giza were constructed solely to be burial chambers (tombs) for the pharaohs as Egyptologists tell us, OR were they constructed for various other purposes including ones modern man has not yet figured out? What we see of the pyramids in Egypt today are just ruins of the original structures, due to erosion and vandalism over thousands of years. James Morcan wrote: "We currently have a group poll running on this subject. Scientists have finally demystified the incredible workings of a 2,000-year-old astronomical calculator built by ancient Greeks. A new analysis of the Antikythera Mechanism, a clock-like machine consisting of more than 30 precise, hand-cut bronze gears, show it to be more advanced than previously thought—so much so that nothing comparable was built for another thousand years. "This device is just extraordinary, the only thing of its kind," said study leader Mike Edmunds of Cardiff University in the UK. "The design is beautiful, the astronomy is exactly right…In terms of historical and scarcity value, I have to regard this mechanism as being more valuable than the Mona Lisa." Humans first settled into permanents towns, farmed and then built temples, in that order, starting in 8,000 B.C. Or did they? An amazing archaeological discovery made in 1994 at Gobekli Tepe, a rural area of Turkey, has blown that hypothesis apart, prompting new questions about the evolution of civilization. Containing multiple rings of huge stone pillars carved with scenes of animals and dating to the 10th millennium B.C., Gobekli Tepe is considered the world's oldest place of worship. Yet evidence also suggests the people who built it were semi-nomadic hunters, likely unaware of agriculture, which followed in the area only five centuries later. Because of Gobekli Tepe, archaeologists now have to ask which came first. Did building projects like this lead to settlement, and not vice-versa, as always thought? It sure put main stream archaeology on it's behind. There are also some that argue that Western South America had settlements all the way back to 28000 BC. Donna wrote: "A picture is found from ancient Sumeria,which shows 1 extra planet revolving round the sun. I heard old texts say that it was known as planet Nibiru which was between Mars and Jupiter and it got de..."
Nibiru / Planet X was never visible from the Earth but the star which was the centre of Nibiru’s solar system was visible in the skies from Earth. Ancient alien theorists believe the orbiting pattern of Nibiru gave the Anunnaki the advantage of having a mobile observatory from which they could observe and investigate many other planets near its orbit. Nibiru is commonly translated as Jupiter although I think it might actually be Saturn. Electric Universe theorists suggest that at one time, not very long ago, Saturn was our sun. Something happened that caused planets to be kicked out of its orbit and be captured by Sol. They base that partly on mythology and partly on the strangeness of our solar system. I agree that Gobekli Tepi is a game changer. It could take another hundred years for the implications to be embraced by mainstream archaeology. They are an insular lot with almost no knowledge outside their own specialties. It's how the Baghdad battery was overlooked for years and how the Sphinx was mis-dated to a much later period. The Antikythera machine is another game changer. It's rare for any type of technology to survive long. This tells us there was a level of sophistication much earlier than was commonly believed. Jim, agree with all that you suggest. As for Planet X, the theories of Zecharia Sitchin were pretty much blown out of the water by Phillip Coppens in his marvelous book, "The Ancient Alien Question: A New Inquiry Into the Existence, Evidence, and Influence of Ancient Visitors"
I appreciate the I want to believe feelings, but we need to be cold, hard and scientific. There is no way I can replicate his thoughts in a quick summary here, Janith, the book is well worth the read. Hopefully a library can provide a copy or pick up a copy using the links provided by Goodreads. As for Sitchin, his translations of the Sumerian text are at best suspect, and most likely incorrect. I have to agree with what the vast majority of experts say since I don't have the ability to do the translations. Sometimes the simplest solution is the correct one.